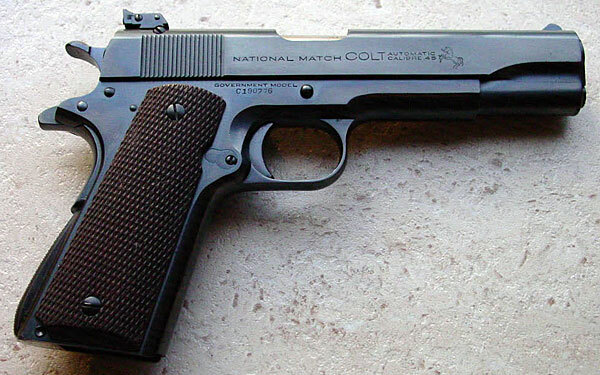 Colt National Match Serial Number C190776 with adjustable sights, Swartz safety, factory blue finish and checkered walnut grips. 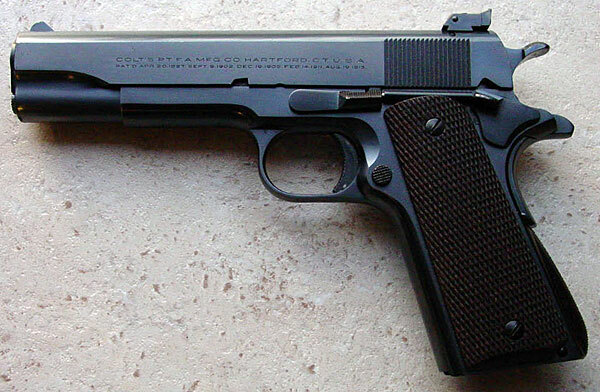 This gun was shipped on March 6, 1939. The Swartz safety is a device that blocks the firing pin when the grip safety is not engaged. Left side of National Match serial number C190776.